When Alison and I started with our gift packs for mums in Alex clinic we wondered what the most cost effective way would be to present these gift packs. We thought of wrapping the gifts in the actual blanket, perhaps buying those material shopping bags, and many other ideas. 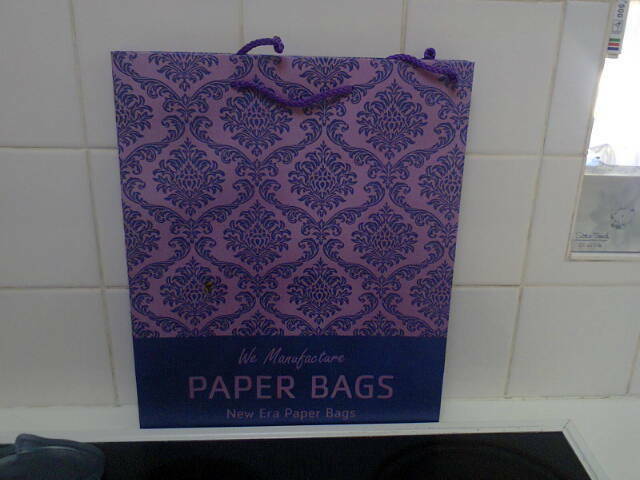 We eventually decided to use recycled gift bags that people (mainly our friends) donated to us. This worked extremely well, until we ran out of gift bags. We emailed a few companies to ask for help and to our surprise The Paper Packaging Place responded immediately with 100 BEAUTIFUL bags. Thank you so much to the Paper Packaging Place, we REALLY appreciate your generosity. To date we have donated about 120 gift packs to mums in Alex clinic. Thank you also for everyone who donates the contents of these bags.